The Nano-Institute Munich is a new research building located in the city center of Munich on the edge of the Englischer Garten. The building, which was financed predominantly within the framework of the SolTech program, will open its doors in 2019. Cutting-edge laboratories provide excellent surroundings for pursuing innovative top-down and bottom-up strategies in nanoscience and for energy-conversion processes. Altogether, the building offers approximately 6000 m² of space and houses an interdisciplinary combination of clean room and nanofabrication facilities, synthetic chemistry and bio-oriented labs, a variety of high-resolution microscopy gadgetries and high-end ultrafast spectroscopy setups. 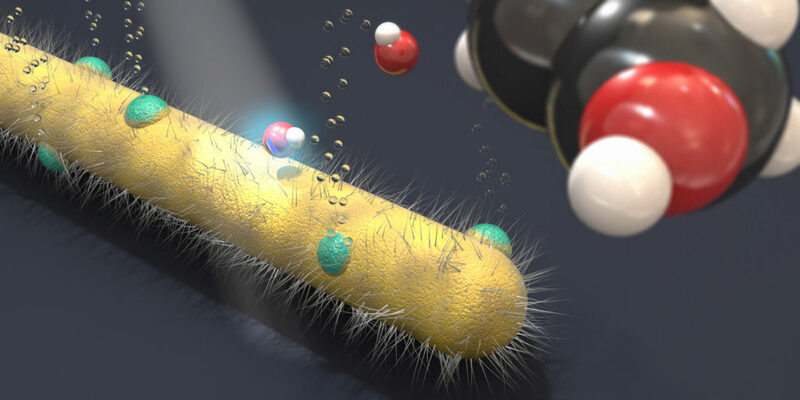 The development of novel nanostructures to enable innovative electronic, optical, optoelectronic and photocatalytic device solutions lies at the heart of the research pursued at the Nano-Institute Munich. 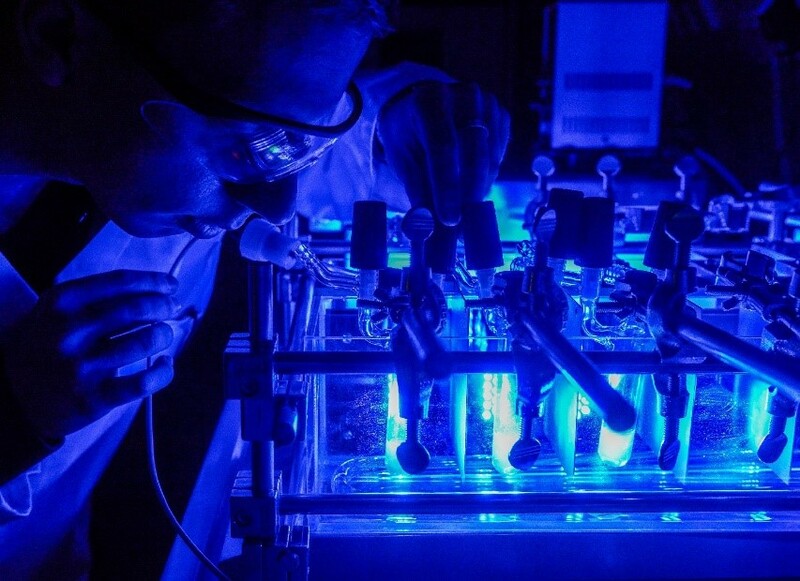 Likewise, a comprehensive understanding of microscopic electronic, vibronic and chemical processes is a prerequisite for accomplishing ambitious goals such as realizing efficient conversion from solar to chemical energy (artificial photosynthesis). The building hosts the newly installed Chair for Hybrid Nanosystems led by Prof. Stefan Maier and the Chair for Photonics and Optoelectronics led by Prof. Jochen Feldmann. Prof. Emiliano Cortes and Prof. Alexander Urban, two new tenure- track professors equipped with ERC Starting Grants, are currently setting up their own research groups in the building. The building also considerably strengthens the research pursued in the Clusters of Excellence Nanosystems Initiative Munich and e-conversion. Equally important, the architecture of the building offers a transparent and highly communicative working atmosphere. A variety of meeting and discussion points as well as seminar and workshop areas will foster lively scientific discussions supported by the omnipresent view to the Englischer Garten. The central location of the Nano-Institute Munich in the heart of Munich will enable easy contacts to and discussions with the public, a factor that is becoming more and more important in light of rapidly changing technologies and threatening environmental conditions, which both leading to societal challenges not experienced previously. Infrastructure measures formed an important part of the first 5-year SolTech funding period (2012-2016). 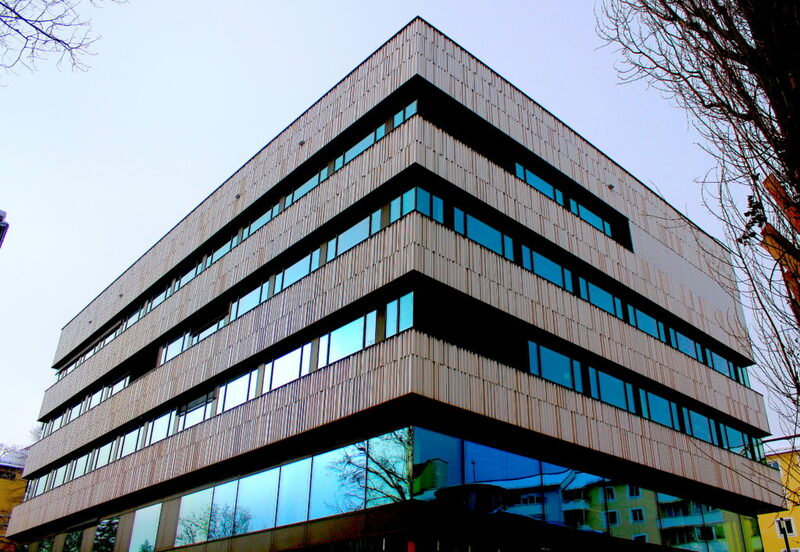 The Center for Nanosystems Chemistry (CNC) at the Julius Maximilian University in Würzburg is one of two new buildings financed within the SolTech project and built immediately after the Soltech launch in 2012. The finished new building of the Center for Nanosystems Chemistry at the inauguration event in October 2016. 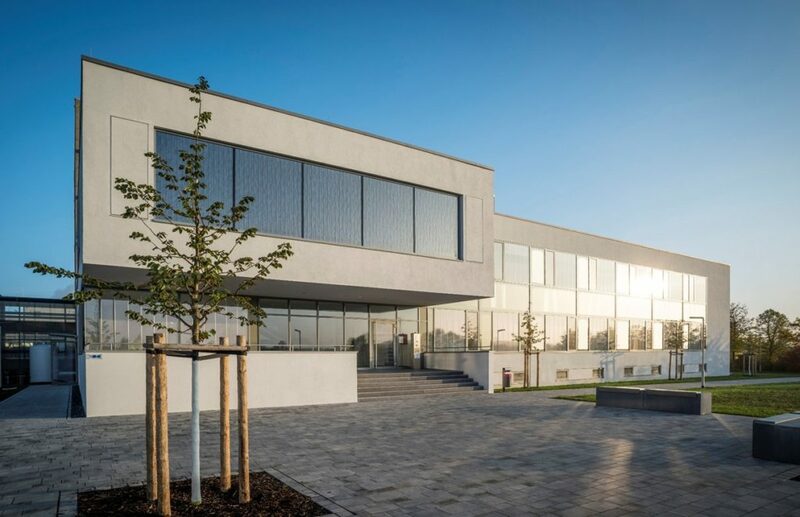 The newly established (2016) research building located on the University of Würzburg’s Hubland Campus offer approximately 1,500 square meters of space for laboratories, offices and state-of-the-art research infrastructure. “If you want to take the lead in the international competition for researching technologies of the future, you have to be able to rely on top-notch technical infrastructure. The 8.75 million euros worth of funding from the Free State of Bavaria and the university are a good investment” said Bernd Sibler, Secretary of State in the Bavarian State Ministry for Education, Science and the Arts. 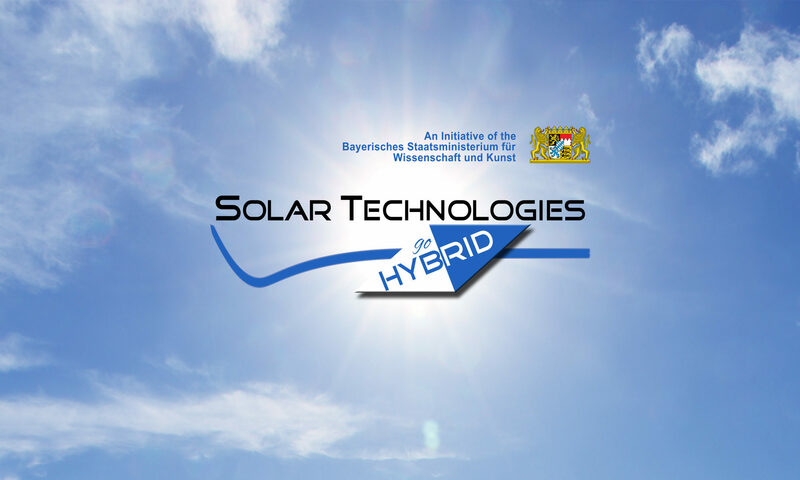 The center is part of the research network “Solar Technologies Go Hybrid (SolTech)”. Five Bavarian universities participate in the network. “The subject we are promoting here is really important and very exciting” said Sibler. SolTech’s aim is to develop innovative concepts to convert solar energy into electricity and to design novel energy carriers in well-equipped laboratories, the so-called “Key Labs”. “The inauguration of the CNC is therefore crucial to solve a central question of our society: How can we achieve and secure a sustainable energy supply?” added University President Alfred Forchel. New instrumentation for the examination of photocatalytic water splitting at the CNC. 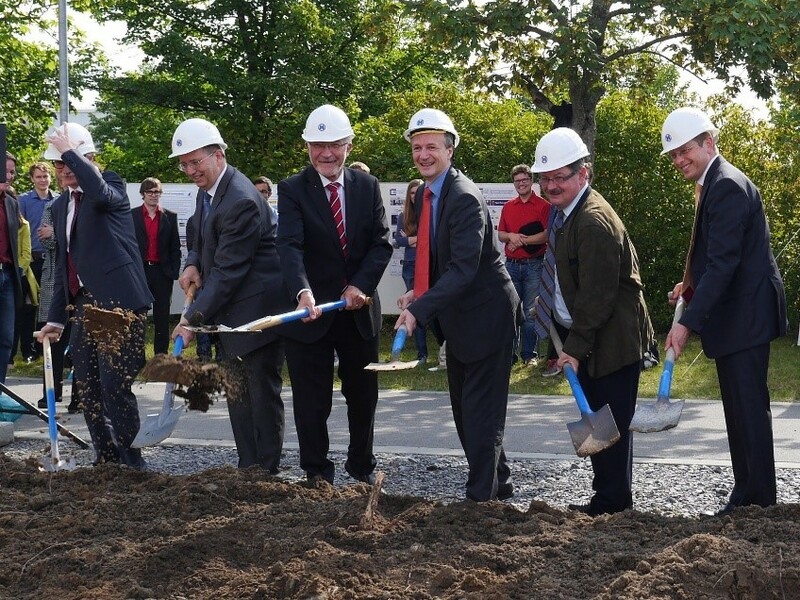 At the same time, CNC represents another important milestone in the University of Würzburg’s pursuit to open up seminal fields of research and promote the transfer of new research results to industry and society. 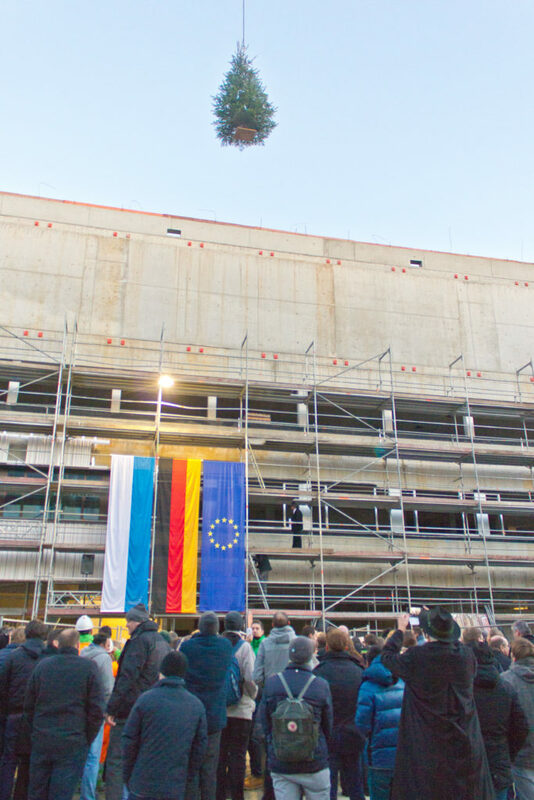 Würzburg’s mayor Christian Schuchardt expressed his pride at accommodating another “trendsetting think-tank” in his city and thanked everyone involved from the university and the state government. Multifunctional production and characterization line for organic solar cells under inert gas atmosphere in a glove box system with attached evaporation chambers.